All the mini screen artists are appearing for a single serial named mamankam, flowers tv will air this. Association Of Television Media Artistes (ATMA) in Association with flowers tv bringing mamangam malayalam mega serial. Popular director Krishnamoorthy is behind this malayalam 20twenty serial. Sree gokulam movies banner producing and bringing the same to flowers tv viewers. They are also bringing another serial named malarvadi this month, flowers tv did good business during onam holidays. They bagged good trp ratings points during onam holidays and listed in top 5 channel chart. Beena Antony, Rekha Satheesh, GK Pillai, Sajan Surya, Boban Alummoodan, Adithyan Jayan, Mahesh, Kottayam rasheed, Souparnika Subash, Meghna Vincent, Navya, Aiswarya nair, Gowri Krishna etc are in the star cast of flowers tv serial Mamankam. All the latest episodes of this serial and other flowers tv shows are available through home mazala application. Floewrs tv launched this free tv viewing application few months back, getting good response all over. Flowers now concentrating on purchasing latest films and renew old movies. They have bagged rights of The Truth, Friends, Jathakam, Olympian Anthony Adam etc. Reports says they renewed a bulk of films from other channels. 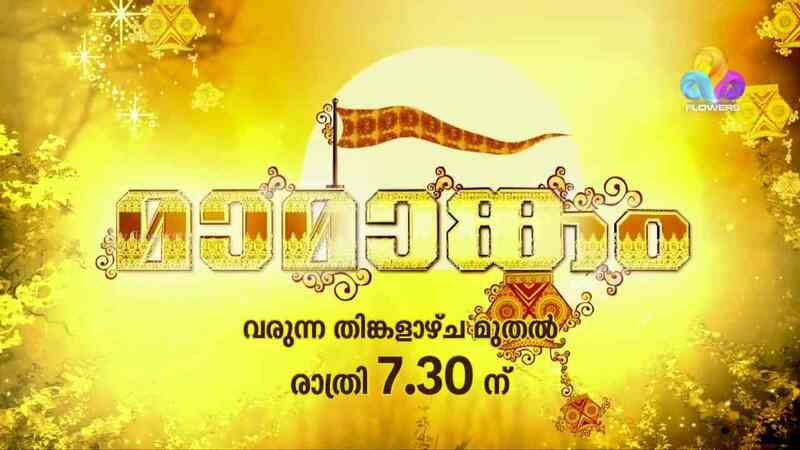 Mamankam TV Serial on flowers tv will be a different experience to the viewers. kudumbamela, mamattikutti, sakudumbam shyamala, seetha, uppum mulakum, comedy utsavam, rathrimazha, eeran nilavu are the prime time shows going on the channel. There will be changes with the schedule, they will wind up some shows and serials. Seetha is airing on 7.30 time band, it’s crossed 143 episodes and they may end the same. Kerala State Film Award 2017 function can be expect on flowers tv. Stay tuned here for all the updated info about malayalam tv channels.